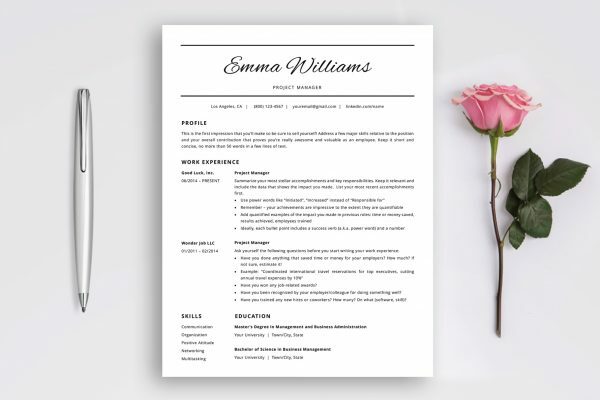 Resume Template and Cover Letter Template "Emily"
Meet “Emily” – a resume template package that can increase your chances to get that interview you’ve been waiting for! 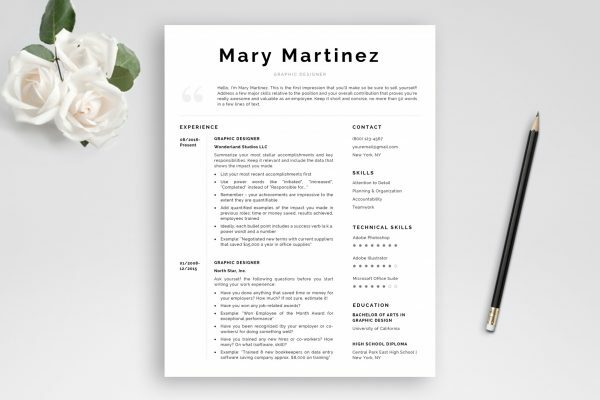 This rich package includes complete 1, 2 and 3-page resume templates, matching cover letter and references templates, comprehensive social media icon pack (110 pieces), matching business card template, detailed instructions, resume writing guide prepared by HR experts, and a ton of tips and tricks to help you create an amazing resume. 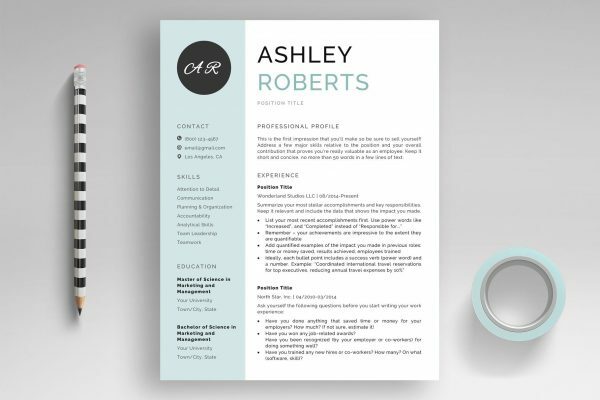 This awesome package includes not only professionally designed resume templates but also all the information you need to position your resume in the “YES” pile. Our experts prepared for you “The secrets every job seeker should know” – our famous resume writing guide full of actionable resume writing tips, easy to follow instructions, many examples you can use in your resume, and a ton of useful resources that will help you quickly create a resume that recruiters and employers LOVE. Absolutely wonderful! I’ve already had 3 interviews. Thank you! It helped me stand out in the field which is so important. Thank you.